Walk into the USA Hockey office in Colorado Springs and take a look around. That’s what I did my first day as an intern in June 2007. As I stared up the stairwell I would walk up every day for the next year, my eyes drifted past the first step and up to a large display hanging on the wall. Encased in glass was the stick Tony Amonte used to score the game-winning goal late in the third period against Canada in the decisive third game of the 1996 World Cup of Hockey final. It was a historic moment for American hockey and seemed to signify the United States’ arrival as a legitimate world hockey power. 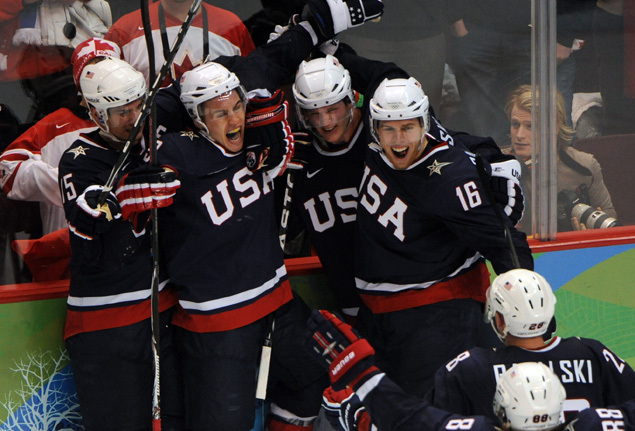 Two years after that historic victory, NHL players started competing at the Olympics. Seven years after I walked into that building and nearly 18 years since Amonte drove hard to the net and chipped the puck over Curtis Joseph, it’s still the biggest U.S. goal scored in my lifetime. The same goes for every member of the 2014 U.S. Olympic Men’s Hockey Team. There have been other notable goals that carried great significance, but nothing quite like that. The team that won the World Cup and the bulk of U.S. players that starred in the 1990s and early 2000s have often been referred to as USA Hockey’s “Greatest Generation.” And it’s with good reason. Five players from that era have already been inducted into the Hockey Hall of Fame, while more than 20 are already in the U.S. Hockey Hall. However for all the Stanley Cups, numerous NHL awards, all-star selections and that historic World Cup victory, the one thing that eluded the Greatest Generation was Olympic gold. All too young to have been part of the 1980 U.S. Olympic Team, many played as amateurs from 1988 to 1994, with no medals to show for it. They then had two honest cracks at gold as professionals and another chance well past their prime in 2006. They come closest in 2002 with a silver finish on home ice in Salt Lake City. 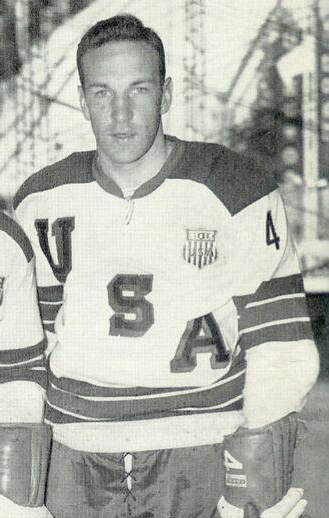 Until recently, the current U.S. player pool failed to match the star power of the Greatest Generation which included such luminaries as Mike Modano, Brian Leetch, Chris Chelios, Jeremy Roenick, Brett Hull, Keith Tkachuk, Gary Suter, Mike Richter, John Vanbiesbrouck and so many more. In between the Golden Era, as it is also sometimes referred in the USA Hockey offices, and the players of today, there was a bit of a lull in between. Though players like Brian Rafalski, Brian Gionta, Scott Gomez, Chris Drury, Jamie Langenbrunner and Jason Blake became established players in the NHL, they never came close to the star power of the Chelios-Modano-Leetch years. In fact, many of the Golden Era players were still kicking around, slipping quietly from their prime and eventually into retirement in the early 2000s that the in-between generation never really had a chance to establish themselves. There was no better proof that the country has dramatically slid in its production of players when the 2006 Olympic selections clung to the Greatest Generation, signified by 44-year-old captain Chris Chelios. Only nine of the 23 players on the roster were under the age of 30 and six of them were over 35. To contrast that, the 2014 roster has only three players over 30, none of which are over 35. That team showed there was distance to travel for the U.S. to be a competitive hockey power again. It really wasn’t until players from the 2003 Draft, many of which came from a loaded 1984 birth year, started making it to the league that the U.S. hockey renaissance came to pass. That draft saw Olympians Ryan Suter (7th), Dustin Brown (13), Zach Parise (17) and Ryan Kesler (23) go in the first round along with fellow Americans Hugh Jessiman (12), Mark Stuart (21) and Patrick Eaves (29). It’s that group that started inching the U.S. towards both NHL and international relevance once again. Who did this group have to look up to? The Greatest Generation of American hockey players and that 1996 World Cup team. It is the legacy left by those players that this current group is chasing now. One thing that is beyond dispute is that there are more Americans in the NHL today than there were in the prior era. More American players are getting drafted and drafted highly than ever before. Where there are still differences between the current group and those of the past is at the very top end. While close, it’s harder to say the elite players of the present day have matched or are matching what their predecessors accomplished yet. That gap, however, is shrinking and may soon close completely. The one thing this group can still accomplish that their predecessors did not is to win an Olympic gold medal. The Americans may have their best chance to do just that since the 2002 Winter Games, when the U.S. brought a roster eager to erase the memory of an embarrassing performance in 1998 and and looking to impress on home ice. It was built very similarly to this year’s team, though the 2014 edition is all younger in their careers than that loaded roster from 2002. That 2002 roster was built on the foundation of speed and puck movement. The defense for the Nagano embarrassment in 1998 was built for NHL ice and it showed. The 2002 version included some of the elite puck-movers of their era including Brian Leetch, Phil Housley and a young Brian Rafalski. All three played prominent roles in making the U.S. a speedy transition team. And Mike Richter was his usual excellent self between the pipes. Brett Hull, who caught a lot of flack for the troubles Team USA had in 1998 was the squad’s leading scorer, while John LeClair and Mike Modano put in their best Olympic performances of their careers. They made it all the way to the gold-medal game only to fall to Canada after a wild third period in which Joe Sakic decided to put on a show. The Wayne Gretzky-built Canadian team won their first gold in 50 years in Salt Lake and after winning on home ice in 2010, they’ll be heavily favored once again. Fast forward to the most recent crack at gold in Vancouver. The U.S. overachieved in 2010, no question. Going undefeated right up until the gold-medal game was definitely a surprise. They had a good mix of veterans and youth, but when it comes to pure talent and depth of talent, I think you could say the 2014 team has that one beat on paper. This team is similar in a lot of ways to that 2002 team, even if it is a fair amount younger. Only this time, they’re returning 13 players that have already been to the final game in the Olympics and have medals. That experience, combined with four more years of developing into star players in the league puts this team in a position to challenge Canada and Sweden as one of the top teams in the tournament. Patrick Kane and Phil Kessel have developed into elite offensive players in the league. Zach Parise, Ryan Kesler and David Backes have excelled in vital roles on their teams. Dustin Brown became the first American captain to hoist the Stanley Cup since Golden Era defenseman Derian Hatcher. Ryan Suter is a perennial Norris Trophy contender, while Ryan Miller and Jonathan Quick have reached the upper echelon of NHL goaltending. And you look at this season and see that six U.S. Olympians are among the top 25 in goals scored, seven are among the top 50 point-getters. There may never be as good of an opportunity to win gold as the current team has in front of them, especially with so much uncertainty regarding NHL participation in the Olympics going forward. This U.S. team won’t be favored to win by anyone, but they have as good a chance as any previous U.S. team in this situation, if not better. No U.S. team has ever won Olympic gold outside of the United States and the last title came 34 years ago in miraculous fashion. History is not on their side, but the more recent indicators of what this group can do are favorable. Winning a two-week tournament is not going to define this era’s legacy against the others. But if Team USA found a way to accomplish that daunting task, it will be this generation of player’s moment. It will be the one thing that separates them from any of their American forebears. And if it happens this time, it won’t be a miracle or a flash in the pan. It will be the arrival 1996 was supposed to be. Only this time, the next generation of players is already waiting to take the torch.